Not sure what to ask for this holiday season? Sure, there’s always the latest new gadget, but why not go for the more lasting gift of the lessons and insights contained in 10 of the best business books from 2013? With Christmas and New Year’s rapidly approaching, we’re nearing a time when many entrepreneurs finally — and deservedly — get to shut it down for a few days and relax with their friends and families. And, for the bookworms among us, that down time also provides a perfect opportunity to dive into one of the great business books that was published this year. Need some help picking a few books to put on your holiday wish list? Whether it’s Brad Stone’s profile of Amazon founder and CEO Jeff Bezos, Facebook COO Sheryl Sandberg’s best-seller Lean In, or Brian Solis’ exploration of what business will look like over the course of the next several decades, each of the 10 books below are chalk full of the kind of practical insight and personal anecdotes that every entrepreneur can benefit from. Amazon may have started as just an online book reseller, but the multi-billion dollar company is certainly more than that today. 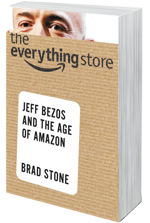 In this book, Brad Stone reveals how Amazon founder Jeff Bezos built the company into a web portal for virtually anything you need or want, and explains why customer centricity is a big reason for the business’s success. All too often, tech entrepreneurs try too hard to dictate how or why their customers use their products. 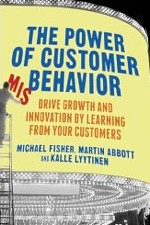 But as innovation and product management experts Michael Fisher, Martin Abbott, and Kalle Lyytinen reveal, that strategy is often counterproductive. In fact, research shows that businesses (including Intuit, Twitter, eBay, and Coca-Cola) often receive the largest innovative boost when they allow (or encourage) users to misuse, break, or modify the company’s products. We live in an age where creating a product that solves a problem isn’t enough. To be successful, products must also be easy to use, beautifully designed, and free of fluff. 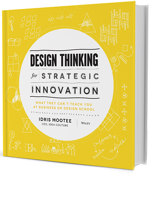 Enter design thinking — the new problem solving method that author Idris Mootee says entrepreneurs must embrace if they hope to build creative solutions to complex business problems that their buyers actually want to use. Business has become a game that’s played at a breakneck speed. The volume of emerging technologies can be overwhelming, new competition crops up every day, and even the best entrepreneurs sometimes slip up when their business models fail to keep up with transient markets and customers. 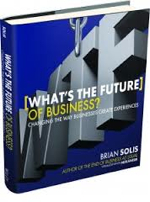 In this book, Brian Solis lays out a game plan for creating incredible experiences for your customers, and explains why that is the key to surviving in an ever-evolving business environment. Ever wonder how a trend became a trend, what made a product so popular, or why something as senseless as cat videos go viral? Wharton professor Jonah Berger did. 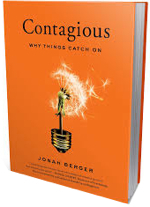 So, Berger decided to write a book that explored the sociology and psychology behind word-of-mouth transmission and social influence. 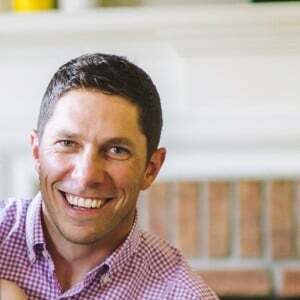 In the process, he discovered six basic principles that drive all sorts of things — from B2B software to workplace rumors — to become contagious. Transitioning from founder to organizational leader can be a struggle. 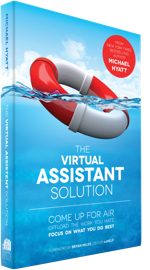 There are a myriad of reasons for that, of course, and executive coach Mike Myatt has seen them all in his years as a leadership advisor to some of the Fortune 500’s best-known CEOs. 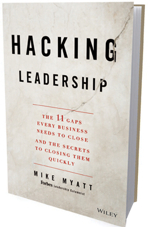 In this book, he delivers an approach for identifying your blind spots, closing leadership gaps, gaining a sharper perspective on your leadership performance, and totally reframing the way you think about what it means to be a leader. Despite huge strides that have slowly begun to close the gender gap, the reality is that the Marissa Mayer’s of the business world are still widely outnumbered by their male counterparts. In fact, according to the most recent Global Entrepreneurship Monitor report, there are still just seven women entrepreneurs for every 10 male entrepreneurs, while the Fortune 500 is led by just 21 female CEOs. 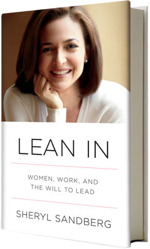 In this book, Facebook COO Sheryl Sandberg sets out to bring change to those ratios — examining why women’s progress in achieving leadership roles has stalled, explaining the root causes of the gender gap, and offering compelling tips that she hopes will empower women to achieve their full potential. In today’s world of 24/7 access and widespread content publishing, your business is no longer fighting for prospects’ attention against just its primary competitors competing — it’s also going head-to-head with pictures of cute puppies, viral videos of cats riding skateboards, and endless status updates from your customers’ social networks. 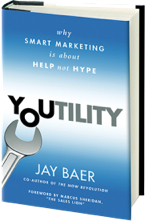 And in that world world, writes renowned marketing strategist Jay Baer, businesses must begin to focus more on delivering content that is truly and inherently useful. Doing so will allow your company to build stronger, long-term relationships by offering genuine help, instead of “close at all costs” hype. 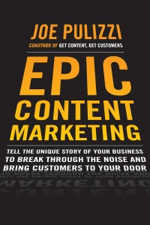 When content marketing aficionado Joe Pulizzi published, “Get Content Get Customers,” in 2009, the founder of the Content Marketing Institute quite literally wrote the book on content marketing. With his newest offering, Pulizzi is at it again — taking readers on a step-by-step journey through the process of developing better stories that inform, entertain, and compel your buyers to do what you want them to do, without having to explicitly ask them to do it.